After yet another mauling from a rampant, especially in the second half, All Blacks side (40) against a feisty (for one half) Wallabies (12), one wonders whether Michael Cheika should think about wearing a similar sort of sign. The Wallabies went into the second Bledisloe Cup Test for 2018 with the promise that they would be much better in the lineouts, the scrums, preventing length-of-the-field tries and in stopping the inevitable All Blacks points surge just before and just after half-time. Rugby Australia and the Wallabies coach himself rejected calls from the veteran stirrer Greg Growden that Cheika had to be relieved of his coaching responsibilities. 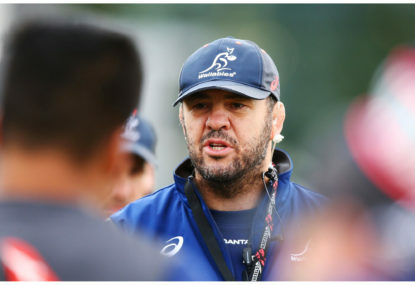 Cheika talked about how gutted his kids were after the Sydney debacle, how he himself felt similarly gutted and how his players had it in them to turn things around at Eden Park, a hoodoo ground for visiting Test sides. He then presented a side at Eden Park that played to keep the score down. The Wallabies were the boring Wallabies. They had no plays or systems that would allow them to score the 20+ points sides need to be at least competitive with the high-scoring All Blacks. They were lambs rather than lions going to the slaughter. During the Test, too, Cheika was once again out-coached by the All Blacks management in their astute use of their reserves and in the subtle changes in the team’s alignments that were made at half-time to thwart the Wallabies front-line defensive system. Beauden Barrett admitted, for instance, that the backs stood slightly deeper in the second half which gave them that little extra fraction of time to pick the gaps and the weak shoulders of the on-rushing Wallabies to dent their line and compromise their line-speed. It was evident, too, that the Wallabies had to defensive plans to combat the All Blacks when they ran from deep after forcing a turnover. The forwards did not start to cover the gaps. The backs did not retreat across the field conceding ground but cutting down the width of the attack, a system used by the All Blacks when they are confronted with a break-out. This sort of non-coaching is inexcusable for a Test coach like Cheika. It makes you wonder what the Wallabies actually practice when they are supposed to be preparing for a Test. And here is a damning statistic. The Wallabies have missed 83 tackles against the All Blacks in the two Tests this year. So much for their improved defence and their commitment to the cause. So much, too, for the coaching of the defence coach Nathan Grey. So much for the coaching of the attack coach Stephen Larkham. So much for the skills coaching of Mick Byrne. I noticed, for instance, when the Wallabies were doing their warm-ups that they ran drills involving short passes between the forwards. The All Blacks, at the other end of the field, were practising long passes with players passing accurately on the run, something that is extremely difficult to do but crucial for the success of break-outs. Guess which side scored crucial break-out tries with players running on to the ball and then delivering long passes on the run to flying outside runners? Let us be brutally honest here. Michael Cheika, Nathan Grey, Stephen Larkham and Mick Byrne are out of their depth as international coaches. The Wallabies are a worse team this year than they were last year, which was a dismal year for the team. Moreover, there is still no contender for Bernard Foley’s number 10 position anywhere in the Australia system. This is a monumental failure on the part of Cheika, Larkham (one of the great number 10s himself) and of Rugby Australia’s High Performance unit. The All Blacks have three number 10s, all of whom are better players than Foley. It is axiomatic that you can’t win a Rugby World Cup without a world class number 10. Since the Wallabies loss in the final in 2015, Cheika has wasted three years in not trying to find a back-up or a successor to Foley. This is, in itself, an example of negligent coaching by Cheika. And Michael Hooper remains captain of the Wallabies, even though he does not have a clue about captaining an international side. As an example of this cluelessness, the Sydney Morning Herald quoted him saying that no All Black would break into his Australian side if he was picking it – including Beauden Barrett! This is like a defeated England cricket team saying in the 1930s that man-for-man they were better than any of the conquering Australians, including Don Bradman. It shows that Hooper hasn’t got a clue about the rugby – and it was absolutely fabulous rugby – that the All Blacks have turned on in the two Bledisloe Cup Tests this year. Hooper seems to think badgering a referee about yellow cards is captaincy rather than trying to manage the Tests so that the All Blacks expected onslaught just before and just after half-time does not happen. He seems to think, too, that talking up his players is somehow the magic spell that will turn his mediocre players into champions. The thing about the All Blacks (and the Crusaders for that matter) is that they invariably do the right thing at the right time. They unleash the hounds when they want to score from long range positions. They tighten things up with driving mauls and pick-and-goes when the defence begins to spread. The thing about the Wallabies is that they invariably do the wrong thing when pressure is applied to them. The All Blacks first break-out try at Eden Park came after Bernard Foley kicked the ball away because he had run out of plays to use it effectively. I have read many stupid statements in my life and have probably written a some myself, but I have to say that this endorsement of a mediocre bunch of Wallabies over some of the greatest players to wear the black jersey is the most stupid comment I have ever read from a person of standing in the Australian rugby hierarchy. The truth of the matter is that not one Wallaby would make this All Blacks team, including Hooper himself. And, most importantly, if a Wallaby did make the team he would be expected to play – and would play – much better than he does for the Wallabies or he would be dropped from the squad. What is happening in the Wallabies is that real coaching is being replaced with super-hype sentiments from the coaches, Rugby Australia officials and the players. Hooper’s statement is an example of trying win a Test with boosterism rather than with skills, tactics and excellent execution of plays (a Wallabies trait in the Macqueen era) on attack and defence. And to think that Rugby Australia has contracted Hooper for the next five years! Is there anyone in Rugby Australia who has any understanding of the career trajectory of most number sevens? We get here to the sad truth that there is no one in Rugby Australia, either in the coaching staff, the High Performance unit, or the board who actually has the faintest clue about how to present a national side that can have a chance to win a Rugby World Cup. 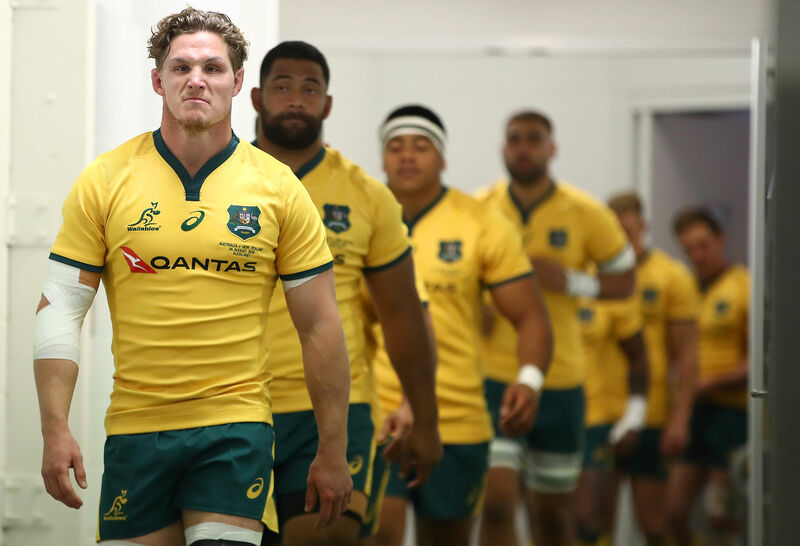 How can any thinking Rugby Australia official tolerate the nonsense uttered by Michael Hooper, after his side had conceded a record second half points tally by the All Blacks at Sydney and a hammering at Eden Park which could have reached 50 or 60 points if several judgments about ‘forward’ passes had not gone the way of the Wallabies? 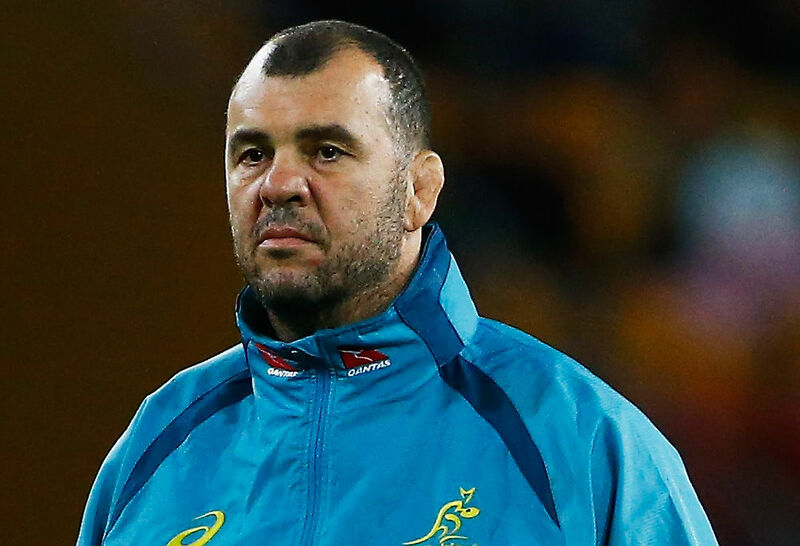 Cheika, who seems to have the wrong temperament for coaching and the actual know-how to do the job, should be searching his conscience for the answer to the question whether he is part of the problem for the Wallabies. The last time a coach was sacked a year or so before a Rugby World Cup tournament was in 1997 when the Wallabies were monstered 61–22 by the Springboks at Pretoria. On the plane flying back from South Africa, the chief executive of Rugby Australia, John O’Neill, decided to sack Greg Smith and appoint Rod Macqueen to take the Wallabies on their coming tour of the northern hemisphere and then through to the 1999 Rugby World Cup triumph. Thirteen of the players who were involved in the debacle against the Springboks were on the field when the Wallabies won their second (and last) Webb Ellis trophy. The problem with trying to make history repeat itself by doing the same thing with Michael Cheika is that there is no equivalent anywhere in the world of Rod Macqueen for Rugby Australia to entrust the Wallabies to. And here we get to the terrible truth about the recent history involving the Wallabies since Robbie Deans lost the job in 2013. The game at the Super Rugby and national level has sank into a mediocrity. There have been too many mates appointed to crucial positions at the Super Rugby and Wallabies level. Here are just a couple of questions. Why was Richard Graham appointed a head coach of the Reds? 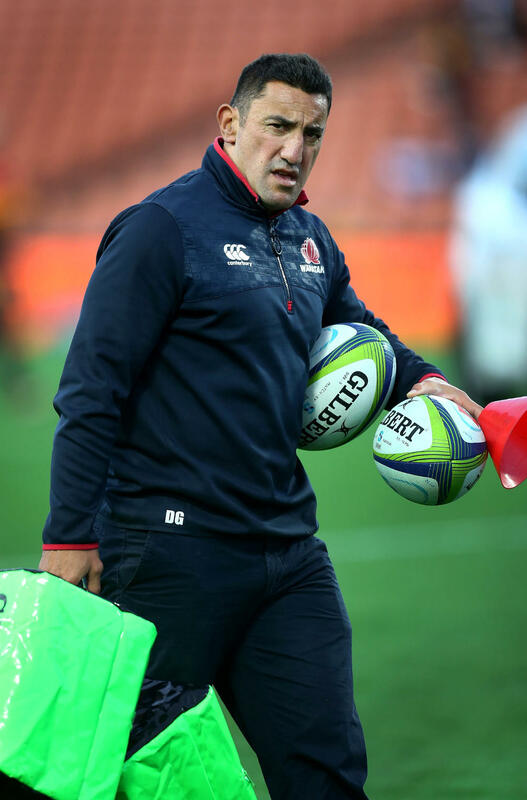 Why was Daryl Gibson, a New Zealander with ambitions to coach the All Blacks, appointed as head coach for the Waratahs? How has Nathan Grey retained his position as defence coach of the Wallabies? Why is Stephen Larkham, with no trophies to show as a coach, the attack coach of the Wallabies and is being groomed as the successor to Michael Cheika? What has Mick Byrne contributed to the Wallabies in his time as a skills coach with them? Why has Rod Kafer, a failure as a coach himself, being given the job of leading a coaching revival in Australia? The answer you will find to some of these questions is that being a ‘mate’ is never a handicap to getting a senior job either on the management side or the coaching side in Rugby Australia. Cheika’s failure as a Wallabies coach is not the cause of the failure of the national side as it slides down the rankings ladder. But it is a symptom of the problem. The heart of the problem is a failure of Rugby Australia to manage the rugby game in Australia, from its heartland grassroots, club rugby, professional rugby and the Wallabies, in a way that attracts and nurtures talent and high performance at every level of the game. There needs to be a spill of all the top management and coaching positions at the national level at the end of the year. A panel of wise experts, among them former coaches who had success, Alan Jones, Bob Dwyer, Rod Macqueen, also administrators who had success especially in the glorious era of 1999 through to 2003, to examine all the structures and make recommendations for new people to run the game in Australia. The case is obvious that the piano player (Michael Cheika) and everyone else involved in running the Last Chance Saloon of rugby in Australia needs to be booted out and a new management brought in.